Dominium - Doing business in other real estate and property industries is a large scale business. Why is that, because the product of this business is an investment asset with a high price, is one of the primary human needs, namely the board, and equally important is one of the easiest and safest investment assets to maintain value and be resistant to inflation . On this occasion I will continue our discussion of the Dominium project that we discussed earlier in 2 previous articles. Those of you who have not read the article can open the link here. This time we will discuss the analysis of the Dominium project itself and the details of the ITO they are carrying out. How strong is it? Are there weaknesses? Some opportunities? Are there threats to them? This is what I will try to discuss on this occasion. Straight to. Check this out. As discussed in the previous article, the team behind the Dominium project is a company that has experienced the ins and outs of the property industry since 1833. This means that the Dominium project is a subsidiary managed by experienced companies that are adopting blockchain technology. Plus this Dominium team has been studying and observing the development of blockchain technology since 2012. That means they are very careful in making decisions and actions to adopt this technology. In addition, they have prepared funds to finance the initial construction of the Dominium platform and transfer property assets from the parent company worth millions of euros as a lure for the development of ecosystems on their platforms. Strength and plan can be said to be mature and ready to fight healthily with their competitors. Reflecting on the strength of whether Dominium doesn't have weaknesses? It can be said to have almost no. However, of course there must be weaknesses. Regarding the adoption of blockchain technology, of course, the Dominium team not only prepares from the technological readiness side, but what about the condition and psychology of the cryptocurrency community market also needs to be considered. If this has not been thought of, it will be a dangerous weakness for the continuity of the Dominium project. Opportunities for Dominiums with property products are certainly wide open. So far there have been several ICOs with real estate or property products. However, among several other companies, no one has reached the completion of the platform to be able to operate. 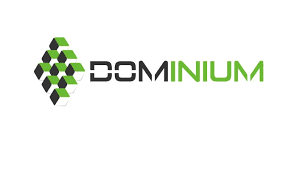 If Dominium can catch up and with the strength that has been delivered earlier, of course, Dominium's chances will be wide open to reach the point of success first compared to its competitors. It doesn't need to be discussed more deeply for this one. Of course the threat that will emerge will come more from outside. Given that there have been several companies that have succeeded in implementing ICO with the same product, namely property. In addition there are possible threats from within the community itself. It does not deny that the cryptocurrency community is built from people with different backgrounds, both education, state, etc. who certainly have different characters and some are impatient to benefit from the increase in the price of tokens. I think it's enough for an analysis of the discussion about this Dominium project. Please review and analyze yourself if there are any shortcomings. Next is the detailed ITO information they carried out. Their ITO is underway and will be completed on 31 December 2018. Their tokens will become utility tokens called DOM tokens. The total inventory token is 1 billion DOM tokens with the price rate at ITO being 1 DOM token equal to 0.25 EURO. Regarding their minimum sales target is 2.5 million EURO and their maximum sales target is 92.5 million EURO. There is one more interesting thing about their plan is the repurchase program and burning of tokens. Simply put, some of the results of Dominium's operating profits will be allocated to the repurchase program and the tokens resulting from the program will be burned. Of course this will increase the price of the DOM tokens. Regarding the time for the repurchase program to be held every year or as needed.